Lakeview Cabin is located on the picturesque shore of Lake Maloney south of North Platte. It is a two-level structure and spacious enough to host one large group or two smaller groups simultaneously (sleeps 19, each side). Lakeview Cabin is climate-controlled for both summer and winter use. It has modern bathrooms and showers and fully-equipped kitchens. 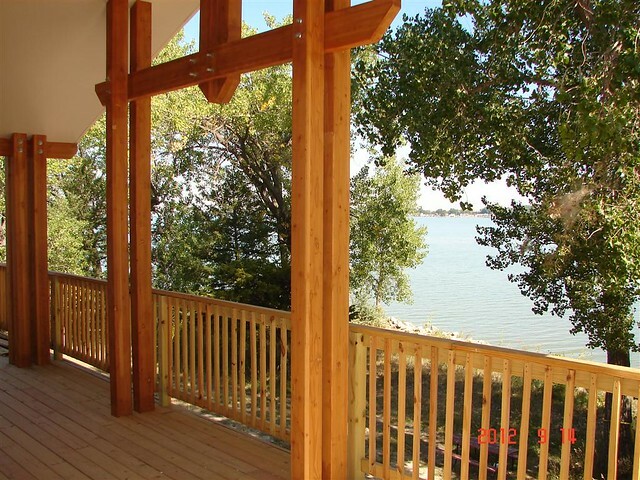 The spacious deck will surely become a favorite spot for taking it easy while staying at Lakeview Cabin. The property includes a sandy beach along Lake Maloney and swimming access – perfect for a refreshing dip on a hot summer day. Search for Girl Scout programs happening at Lakeview Cabin here. Find out more about our cabin and rental pricing here.